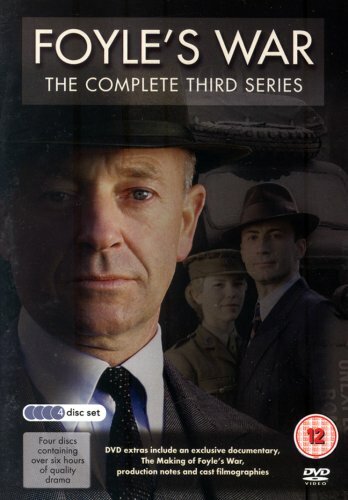 Foyle’s War is a World War Two detective drama set in the 1940sand follows Detective Chief Superintendent Foyle (Michael Kitchen) and Sergeant Paul Milner (Anthony Howell) on various criminal investigations, assisted by his driver Samantha Stewart (Honeysuckle Weeks). Episode 4 of series 3, A War of Nerves, focuses on the issue of missing supplies, leading Detective Chief Superintendent Foyle to question the owners of a local shipping yard. However, when a bomb disposal unit descends on the yard to deal with an unexploded bomb, three officers make a surprising discovery. When an officer is murdered, Detective Chief Superintendent Foyle realises that there is more to the case than missing supplies. The Historic Chatham Dockyard provided the perfect location for the shipyard in ‘A War of Nerves’, featuring both HMS Ocelot and HMS Cavalier. The Historic Chatham Dockyard has been used in other television productions such as Dom Hemingway (2013), Call the Midwife (2012-2013) and Oliver Twist (2007). The third series was aired on ITV in October 2004, and all seven series are now available to buy on DVD. This entry was posted in Filmed in Kent and tagged Foyle’s War – A War of Nerves film locations, Michael Kitchen, The Historic Dockyard Chatham, TV Drama. Bookmark the permalink.